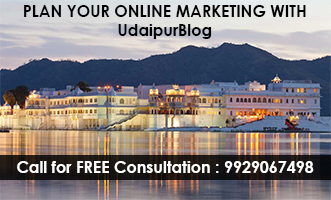 Places of worship in Udaipur is something everyone must know. Here we are listing the major churches in Udaipur. 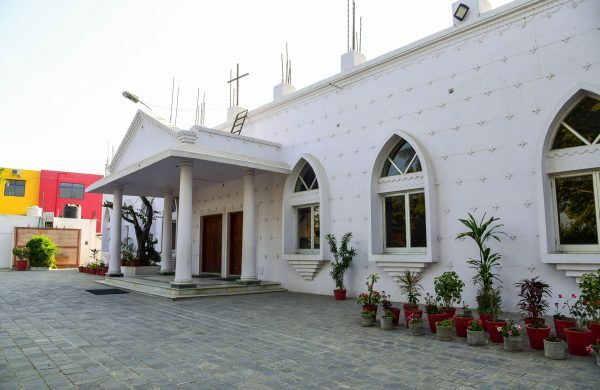 The Rajasthan Pentecostal Church was established by Late Dr. Thomas Matthew, an Apostle of North India. 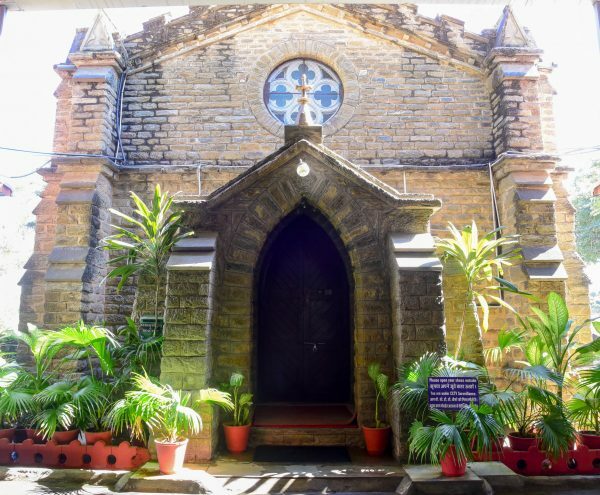 It was in the year 1963 that he started the church; earlier the church was under the Shepherd Memorial, and it was 1987 when it got its own building and management at Rani Road. Since then, the daily meetings and prayers are conducted at the church, which is Independent for its own practice. By 2005, there were over one thousand local churches that had been birthed as a result of the work that began in Udaipur by Late Dr. Thomas Matthew. Also, till 2005, Late Dr. Thomas Matthew was pastor of the church. On the 24th November 2005, en route Punjab to preach, he passed away in his sleep, after him Pastor Paul Thomas Mathews took over. 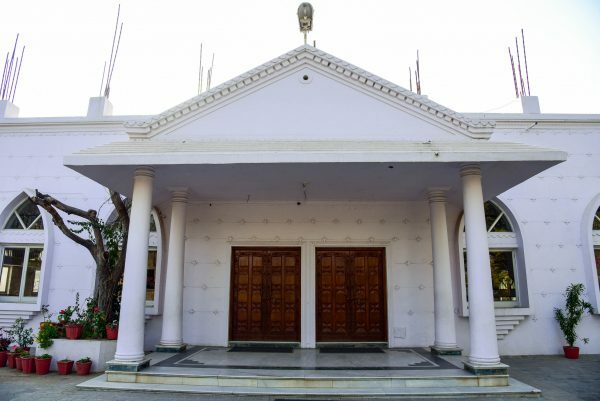 The church has a great architecture, able to accommodate almost 500 devotees at a time. Rajasthan Pentecostal is of the Protestant churches of the city. The church also helps in the field of education and healthcare. 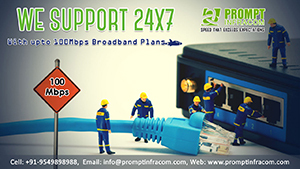 It has educational institutions and hospitals, St. Matthew’s School at Rani Road is one of the institutes. The Rajasthan Pentecostal Church is affiliated to Filadelfia Fellowship Church of India (Regd. ), a national fellowship of 1600 affiliated churches. The Shepherd Memorial Church is carved in the Scottish architecture and is the oldest church in Udaipur. The first worship was offered in this Church after sanctification on 05 July 1891. It was built by the Scottish Missionary and a Medical Doctor from Aberdeen, Scotland, Rev. Dr. James Shepherd (02 Feb 1847 — 29 Mar 1926) who with the great help of the then State Executive Engineer Mr. Campbell Thompson constructed the church. The church is named after Dr. James Shepherd. It is said that the land for the construction of the church was given to Dr. Shepherd by the Maharana of Udaipur. Campbell Thompson also constructed lake Fateh Sagas Dam, Railway Line to Chittorgarh, Victoria Memorial Hall (Saraswati Library in Gulab Bagh). 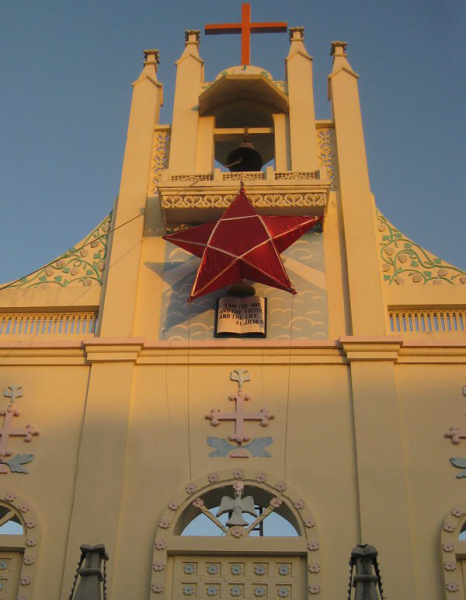 The church is located near Chetak Circle, also known as Church of North India. Shepherd Memorial is a protestant and an independent church and nearly 300 people can pray together in the church. In its earlier days prayers were conducted by Dr. James Shepherd after whom the clergy has changed 18 times and now prayers are being conducted by Rev. Jitendra Nath since 2016. As per a source, there is a story behind the establishment of this church. A devotee of Our Lady in Germany sent a statue of Our Lady of Fatima to India and remained in Ajmer unopened from 1964 to 1967 in the Bishop’s House. Bishop of Ajmer helped the Tridium management of Udaipur in fulfillment of their want of a life-size statue of Lady Fatima, where the statue was never opened from its cover. The Tridium Management welcomed to take it. It is said that Late Rev. Fr. Avito Coutinho expressed amazement seeing the statue which arrived from Ajmer. He was spellbound by the beauty of the statue and immediately decided to take it for their worship. It was kept in a cover till it found a decent place for worshipping, which later on came to be the church where it is now. In its initial days the statue of Our Lady of Fatima was kept in a newly constructed block in St. Paul’s school campus then it was shifted permanently in the Our Lady Fatima Church. 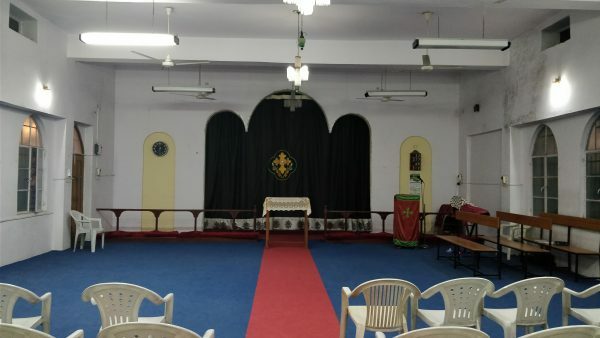 The church has a huge hall for prayers in which 500 devotees can pray. Also, it is the largest church in Udaipur and has beautiful interiors. The church at St. Gregorios celebrates its Foundation Day in January 1987. 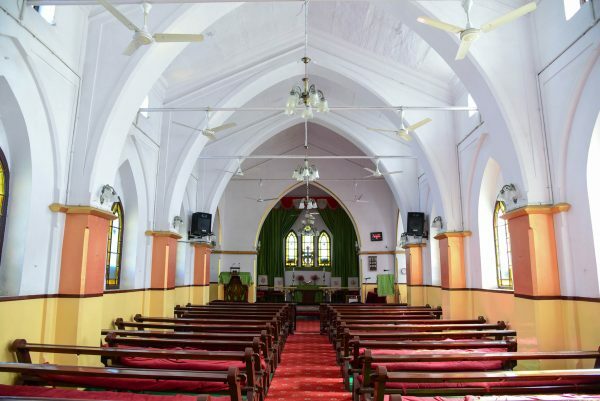 It was created as a parish of Malankara Orthodox Church but the Church was named after St. Geevarghese Mar Gregorios of Parumala who is the Patron Saint of the Church building. A statue of the Patron Saint of is also erected inside the prayer hall, of the Church. It is an orthodox church, and the infrastructure is similar to the churches in Syria. 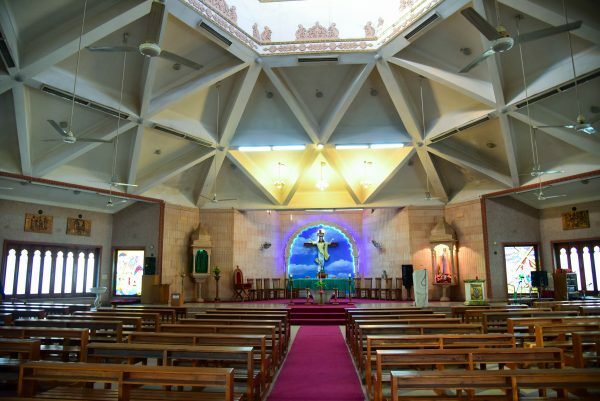 Malankara Syrian Christians’ history dates back to their origin when St. Thomas, the Apostle of Jesus Christ, came to India in 52 A.D. A major section of the parent body of St. Thomas Christians constitutes the Orthodox Church under the Catholicos of the East with headquarters at Devalokam, Kottayam. Today, the Church is running a number of Schools, Charitable Institutions like Old Age Homes, Orphanages, Hospitals, etc. all over the country. 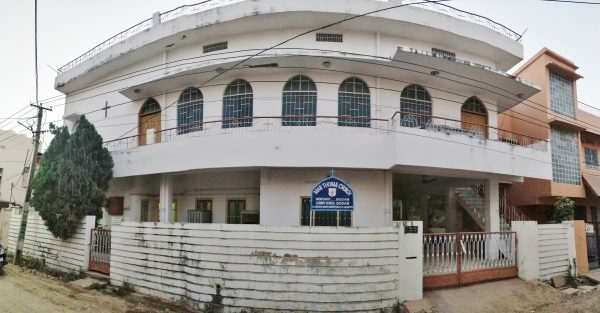 The Church can occupy as much as 200 devotees at a time. 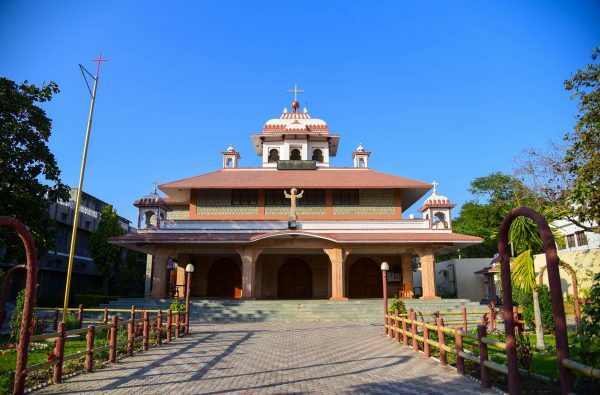 The Diocese of Delhi Malankara Orthodox Church was the governing body of the church, which later on got acquired by the newly established Diocese of Ahmedabad. 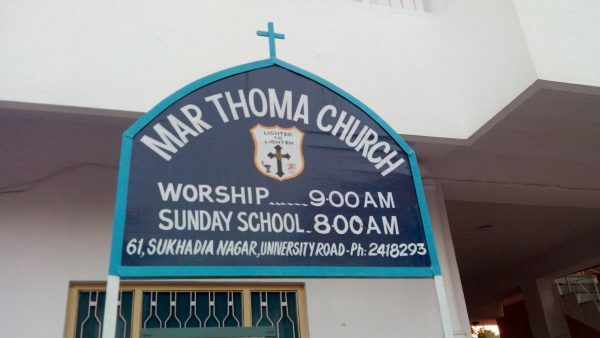 The Mar Thoma Christians migrated from Kerala to Udaipur, after which they felt a necessity of having a place to worship. Thus, they formed “Malayalee Syrian Christian Congregation” which accommodated Mar Thoma and Orthodox Christians. Rev. K. V. Varkey, of Mar Thoma Church Valsad, Gujarat was the first Mar Thoma vicar who visited Udaipur and conducted Holy Communion on 4th September 1966 at the Shepherd Memorial CNI church, Udaipur. The desire of the Martomites was fulfilled on 6th March 1993, and Rev. Geeverghese Mar Athanasius, Bombay-Delhi Diocesan Bishop laid the foundation stone of Emmanuel Mar Thoma Church Udaipur & the dedication ceremony by Rt. Rev. Dr. Issac Mar Philoxenos Episcopa on 27th August 1994. Later, the members felt the need to have a separate room for the guests who visited the parish. The construction of the guest room was completed in the year 1998. The series carries a sole motive of making the people of the city aware of the places of worship. The series has already covered prominent Temples of the city and the second segment is ‘Churches of Udaipur’. This information is collected from valid sources to form an article.